One of my most adventurous projects to date. 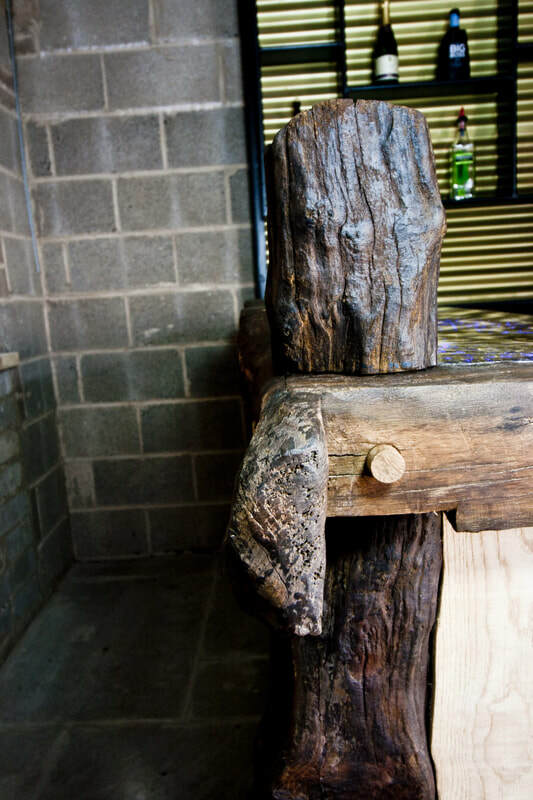 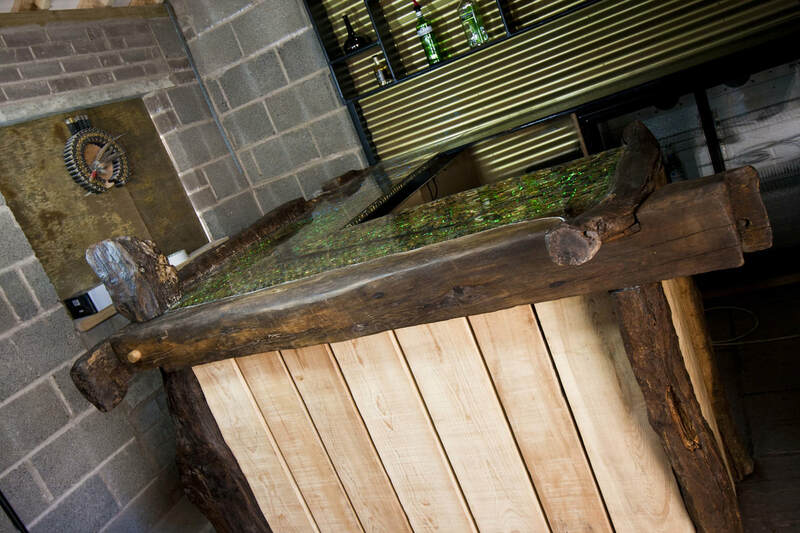 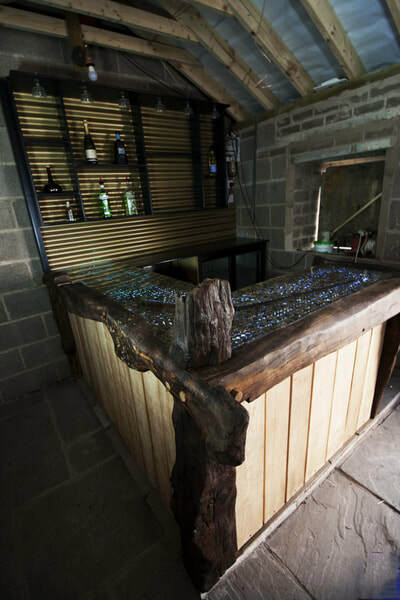 The couple who the bar was for had the idea of a bar top using old shotgun cartridge and to re-use the old oak beams from the roof of the building the bar was in. From that brief the shotgun bar was born. 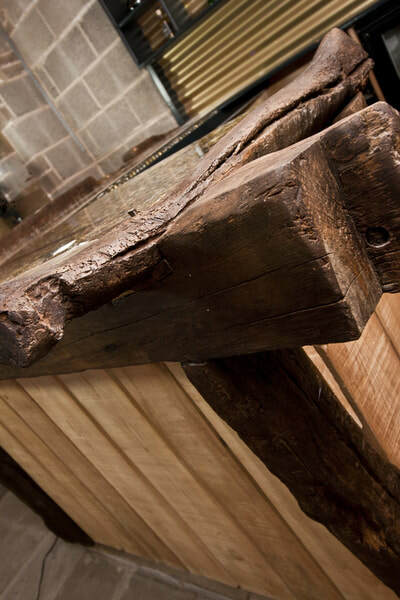 The structure is the re-purposed oak beams that are clad with rough sawn ash boards. 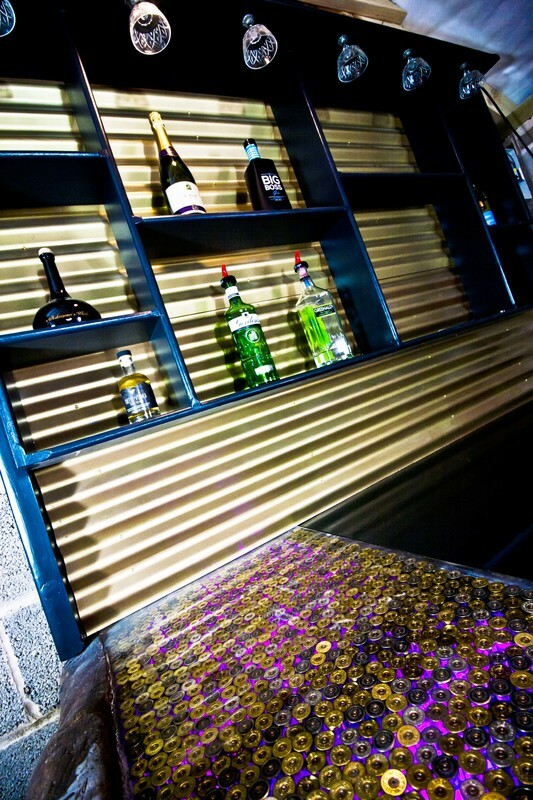 Underneath the bar is a built-in birch ply shelving unit. 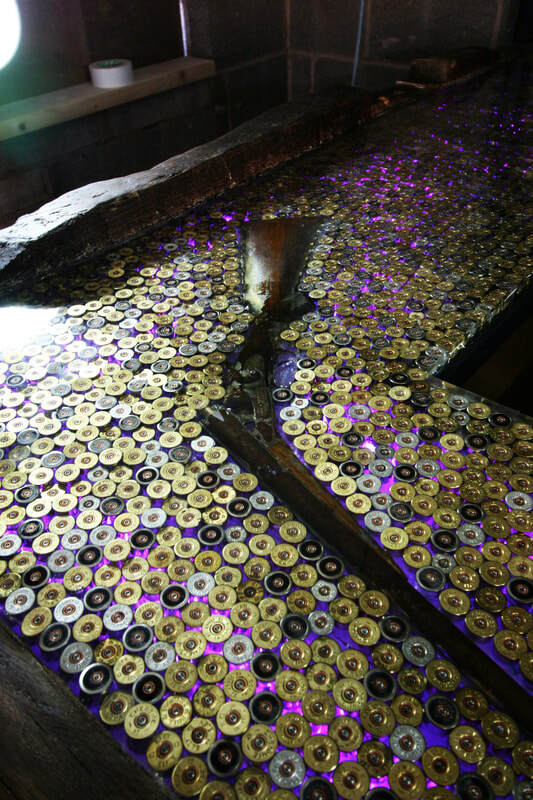 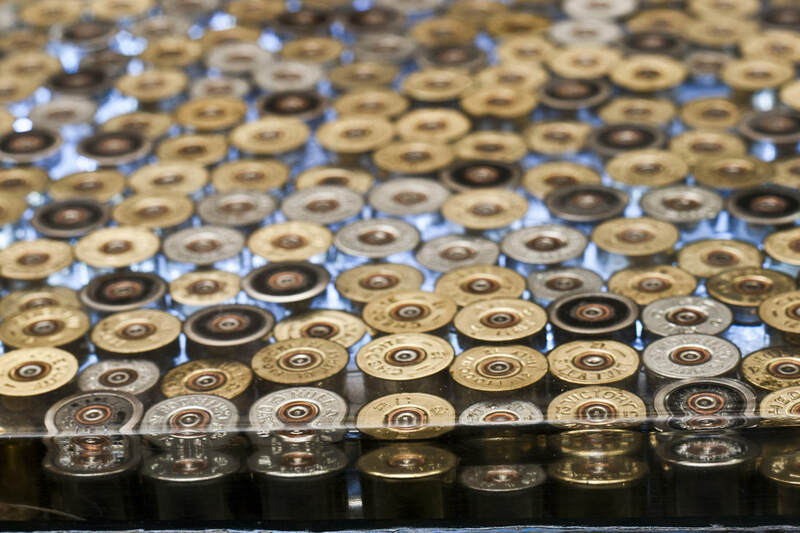 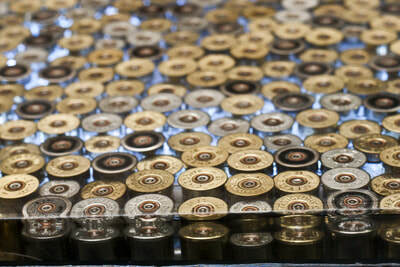 The bar top consists of around 1500 shotgun cartridge and a decommissioned hammer action shotgun, all set in resin. 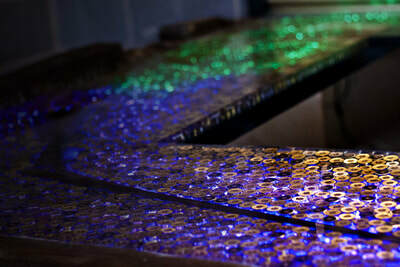 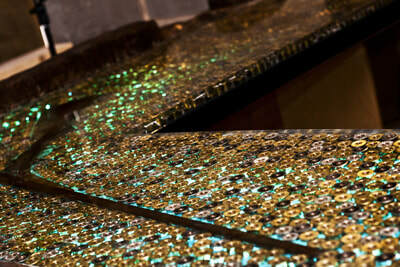 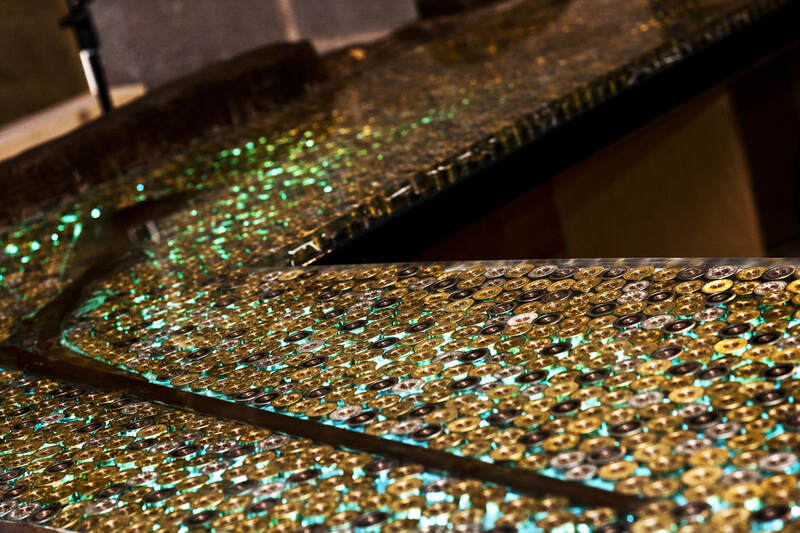 The bar is uplighted with a series of LED strip lights which sit below the resin.